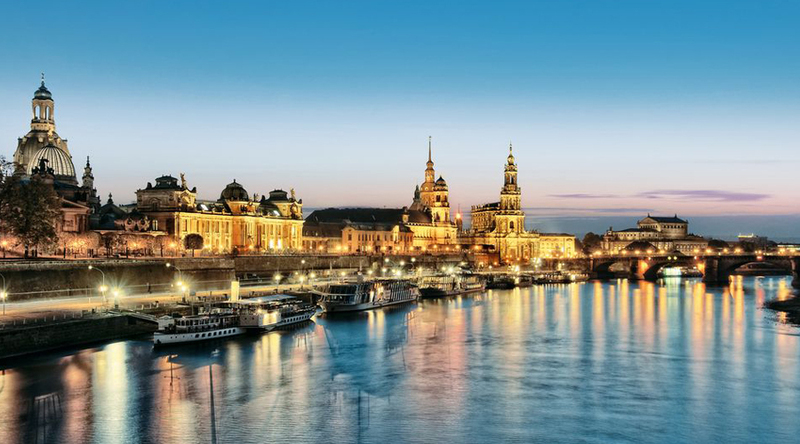 Destroyed by the British during WWII and painstakingly restored ever since, Dresden is now one of the most beautiful cities in Germany, boasting impressive baroque architecture and stunning landscapes. Not only is Dresden considered a city of art and culture, but also a great science and technology hub. Dresden is one of the most innovative cities in terms of scientific research in Germany, particularly in the fields of Biomedicine (regenerative medicine, stem cell research) and semiconductor development. Gläserne Manufaktur - The ‘transparent factory’ owned by Volkswagen and designed by the architect Gunter Henn. Transport Museum - The exhibition will take you on a fascinating journey through 200 years of transport history. International Congress Centre - Enjoying a prime spot on the banks of the River Elbe upstream from the neighbouring state parliament, the facility is considered one of Europe’s most modern congress centres. Glashütte - for 165 years, the name has been synonymous with high-quality watch making, German precision and functional design. German Hygiene Museum - Europe's only science museum to focus on the human being and body within the context of the environment and society, culture and science. Biology - Max Planck Institute, University Hospital. Chemistry and Physics - Fraunhofer society, students’ laboratory DeltaX in Rossendorf (approx. 15 miles), technical collections (Technische Sammlungen). The Museum of Mathematics and Physics. Dresden Youth Hostel is the biggest in Saxony - situated in the heart of Dresden, it is only a few minutes‘ walk from the historic centre. Alternatively stay in Colditz, 80km away from Dresden. Home to the legendary Colditz Castle, a POW camp during WWII for high-rank Allied Officers. Dr Quendt - this Dresden family-run company is known far beyond the borders of Saxony, particularly for its light and fluffy alphabet biscuits – ‘Dresdner Russisch Brot’. Visit the museum, learn how the products are made and then taste them! Schweberbahn – one of the oldest suspension railways in the world. Enjoy a meal in the Luisenhof whilst appreciating the stunning views down over the city. 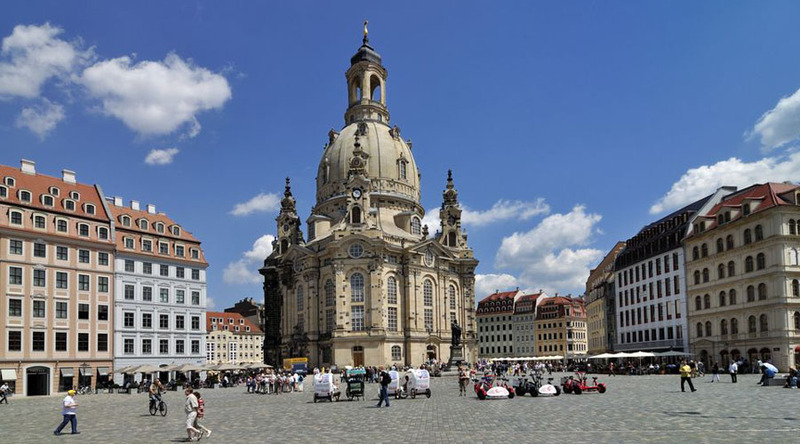 Arrive in Dresden and take a guided walking tour of the city. 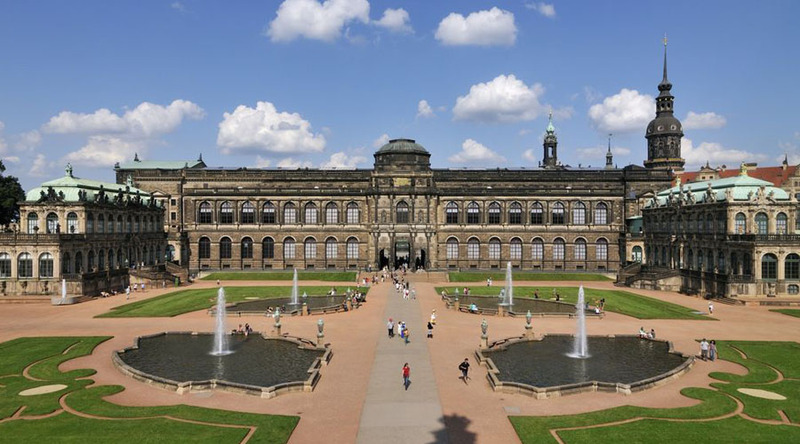 Discover the city’s main sights, including the Semperoper, the Frauenkirche and the “balcony of Europe”. Visit the German Hygiene Museum, Europe's only science museum to focus on the human being and body within the context of the environment and society, culture and science. After lunch continue the biological theme with a guided tour of the Max Planck Institute. Turn to technology with a tour of Volkswagen’s stunning transparent car factory. Follow this with a trip to Glashütte and see how these luxury watches are made. Visit the Mathematics and Physics salon in the baroque complex of pavilions and galleries at the famous Zwinger Palace. Don’t forget to see the Nymphenbad fountain or listen to the Glockenspiel clock on your way out. Stroll along the Brühlsche Terrace on the banks of the Elbe to experience a final Dresden panorama. Depart accommodation for travel back to the UK.